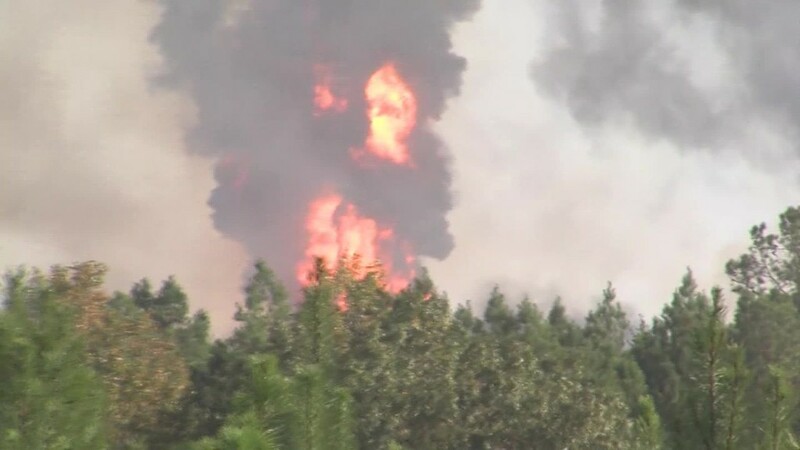 A fatal explosion along a crucial gasoline pipeline Monday could cause widespread gasoline shortages in the Southeast United States and result in higher prices up and down the East Coast. "You have basically ruptured the aorta of East Coast gasoline supplies," said Tom Kloza, chief oil analyst with the Oil Price Information Service, which tracks prices for AAA. Spot gasoline futures spiked as much as 16 cents a gallon on Tuesday. "Increases at the pump will happen fairly quickly," said Kloza. However spot prices retreated off that high after Colonial put out an updated statement saying that it only expects the gas line to be down for the remainder of the week. Earlier in the day there were concerns that the shutdown could last much longer, perhaps weeks, said Kloza. Governors in Alabama, Georgia and North Carolina issued orders waiving some limits for fuel truck drivers in efforts to avoid shortages and prevent prices from skyrocketing. Despite the pipeline rupture, Georgia Governor Nathan Deal urged "the public to maintain regular consumption levels and travel schedules." The Colonial Pipeline, which runs from refineries in Houston all the way to terminals in New Jersey, ruptured Monday when an Alabama construction crew in Shelby County, Alabama, hit it with a trackhoe. That caused an explosion that killed one worker, injured five others and sent a massive plume of flames and smoke into the sky. The company said it is allowing the gasoline in the pipeline to continue to burn under the supervision of local fire and emergency management personnel, rather than trying to stop the fire with the fuel source still present. "Our top priorities continue to be ensuring the safety of responders, and supporting the personnel and their families who have been impacted by this event," said Colonial. It's the second time the pipeline has been shut down in the last two months. In the massive underground interstate system that is the nation's pipeline network, the Colonial Pipeline is I-95, providing an irreplaceable pathway for more than 100 million gallons of gasoline and other refined products a day. The pipeline's shutdown in September, which lasted 11 days, came after workers discovered an underground leak. At the time, prices in the Southeast spiked as much as 28 cents a gallon. "If they do reopen the line on Saturday, we're in much better shape than we were in September," said Tamra Johnson, spokesperson for AAA.